RideTech has really been amazing in its ability to crank out new products over the years and the trend continues today with the introduction of the RideTech TruLink adjustable rear suspension for 1964-1972 GM A-body or 1978-1988 G-Body applications. These cars are insanely popular already and are getting more popular by the day. In reality they represent the last non-pony car rear wheel drive platform that the General produced so it would make sense that enthusiasts would be into them. TruLink is a bolt on solution that eliminates the every more floppy stamped steel rear control arms, adds adjustability in both the shock absorber and geometry departments, and with the RideTech R-joints, improves axle articulation by vast amounts over factory or even aftermarket bushings. We don’t need to tell you more, the full story is below. Here’s the full story from RideTech TruLink for A-Body and G-Body! JASPER, IND. 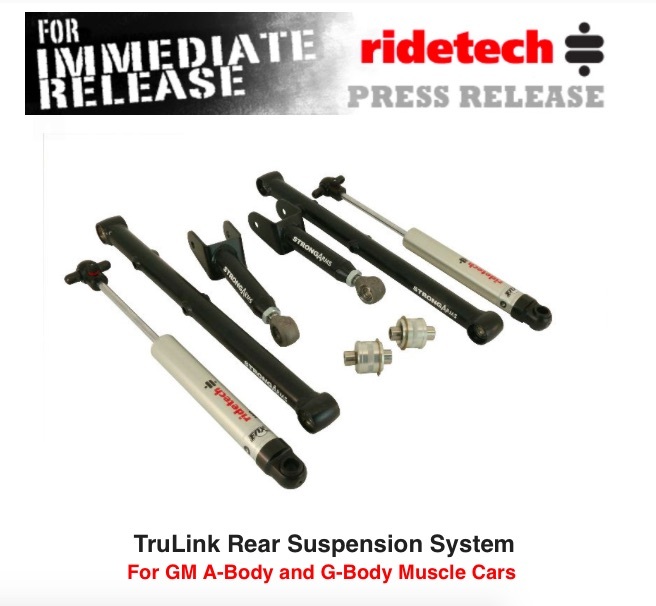 — Tune up the suspension of your 1964-1972 GM A-body or 1978-1988 G-Body muscle car with RideTech’s new TruLink Adjustable Rear Suspension System. Achieve significantly better handling and launch characteristics along with dramatically improved ride quality and service life. 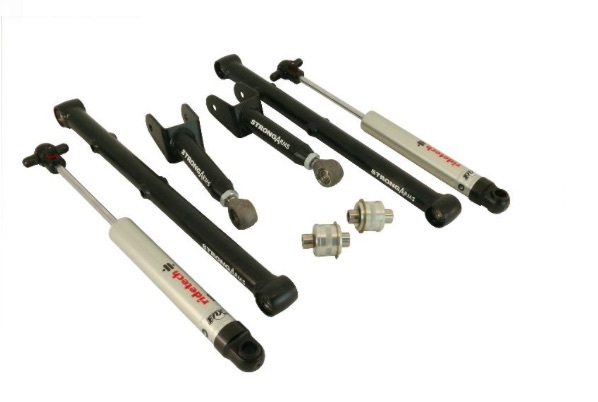 The comprehensive system features heavy duty tubular control arms, patent-pending R-Joint rod ends and bearings plus application-tuned HQ Series adjustable shock absorbers. TruLink replaces flex-prone stamped upper and lower trailing arms with tubular steel StrongArms. These heavy duty 1.5” OD .156 wall DOM steel tube trailing arms are precision welded at RideTech’s Jasper, Indiana factory and then powder-coated for long-lasting appearance. RideTech installs patent-pending R-Joint rod ends and bearings for noise-free movement with high articulation. R-Joints eliminate the binding, stiction, noise and vibration associated with poly bushings offered in most aftermarket control arms. R-Joints never need lubrication and have exceptional wear resistance. Additionally, the TruLink system also includes press-in R-Joints for your axle housing to upper control arm attachment points. 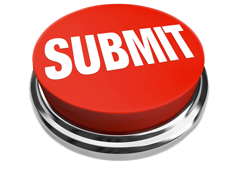 This critical feature is often overlooked in the upgrade process. The final piece in the TruLink system is a pair of RideTech HQ Series adjustable monotube shock absorbers. 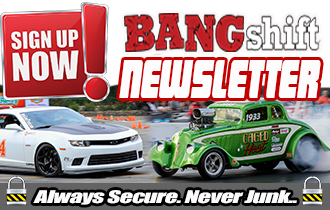 We custom-valve them specifically for A-Body and G-Body muscle cars with modern tires. Rebound adjustment helps you fine tune damping to suit your car’s needs and your personal preferences. 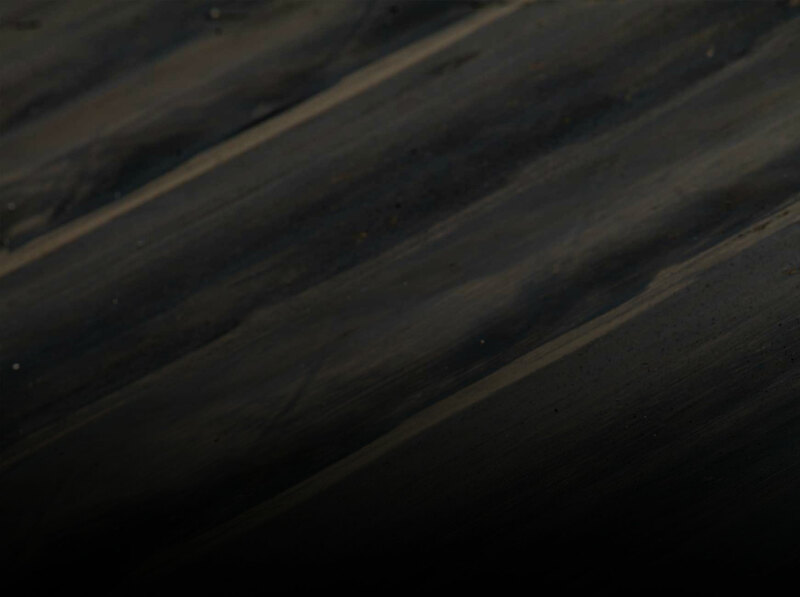 RideTech HQ Series shocks offer an industry-exclusive 1,000,001-mile warranty. TruLink can be complemented with matching front HQ Series shocks, StreetGRIP high performance coil springs and an adjustable MuscleBar™ front and rear sway bars. Synergistic: An SN-95 Mustang Packing A Toyota 2JZ Inline-Six. Cue The Hate Mail! Cheap Racing LUV Still In Progress With Days To Go Before The $3K Hooptie Challenge...And They Shortened The Frame!